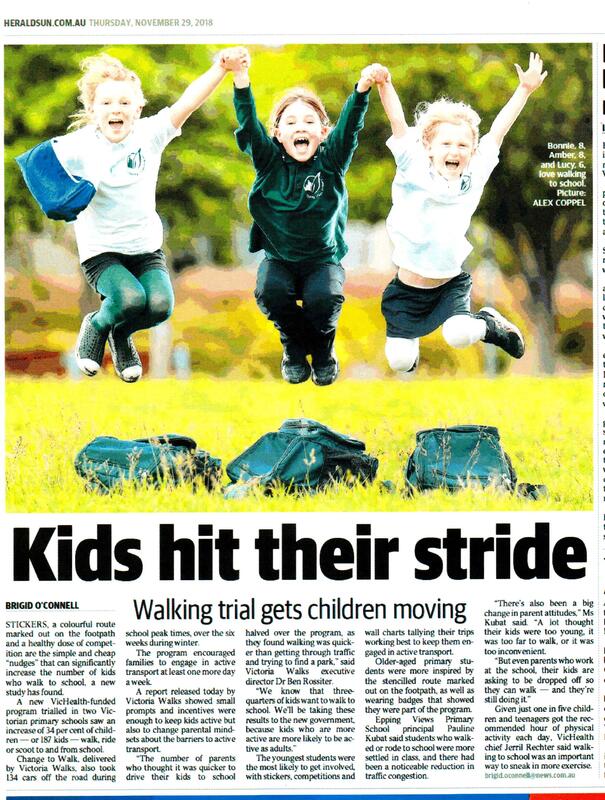 Principal of Shepparton’s Bourchier Street Primary, Denise Howley, said it had been wonderful to see children arriving at school with more energy. The Change to Walking program separately trialled some 'nudges' to get more people walking to train stations at Mitcham, Ringwood and Croydon. “The results suggest we were able to hold the line and keep most people walking as winter set in. It wasn’t enough to get more people walking to train stations in the cold weather but regular walkers walked more often,” said Dr Rossiter.